I read this article and found it very interesting, thought it might be something for you. 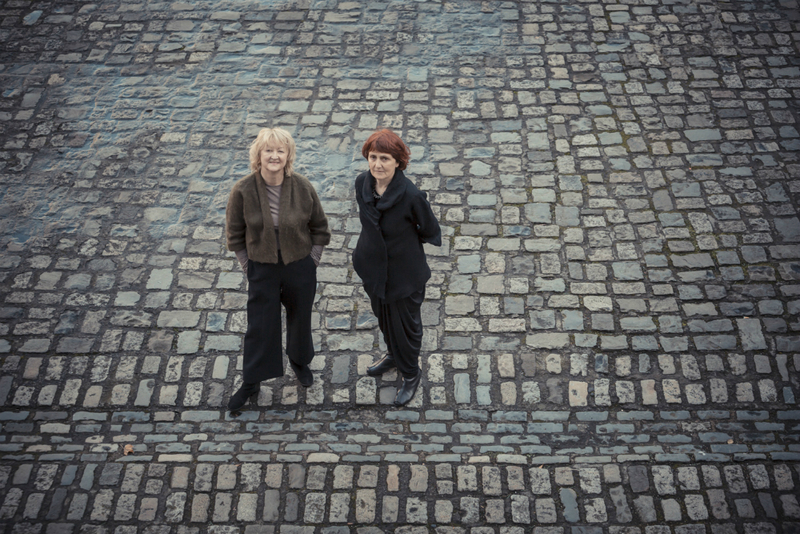 The article is called Towering Beliefs: Yvonne Farrell & Shelley McNamara – Grafton Architects and is located at https://www.totallydublin.ie/more/towering-beliefs-yvonne-farrell-shelley-mcnamara-grafton-architects/. I meet Shelley McNamara on the cobblestones of Dublin Castle. Her work partner Yvonne Farrell is running a bit late. 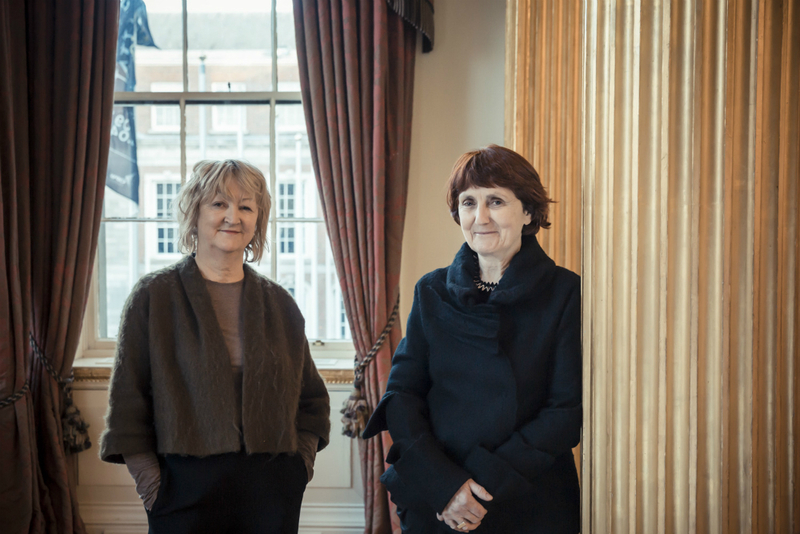 They are about to speak at a Creative Ireland conference, have a visiting delegation over from the Venice Architecture Biennale, which they are curating, and will be flying to Venice the following. This is alongside their day-to-day practice which celebrates 40 years in existence this year. It’s not surprising, then, to learn that Shelley has forgotten to remember this milestone when I remind her. However, her friendship and working relationship with Yvonne, which reaches a career-peak high in May, dates back even further to the late sixties when they first met as undergrads in the UCD. 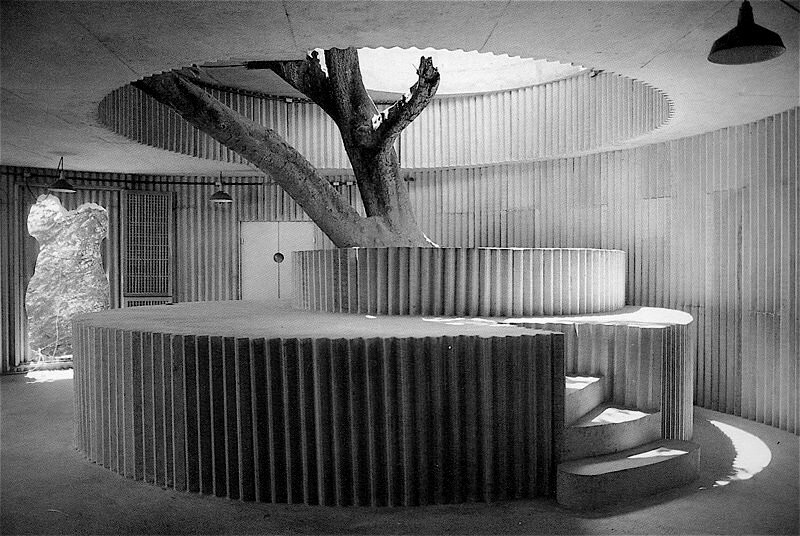 They benefited from what they describe as a “belief” in architecture: the power of the possible. They also benefited from the radicalised students of that time who were hell-bent on shaking up antiquated methods of teaching. The world was changing and Dublin should change too. Emboldened by this belief and confidence, upon graduation they met the brick wall of a somewhat staid reality. Many applications went unopened and this forced them to plough their own furrow. They set up the practice together with Tony Murphy, Shay Cleary and Frank Hall, the latter bringing experience to the table. In the world of ‘Starchitects’ with global outposts from New York to Beijing, the grounding of Grafton has literally been on Grafton Street where they found the office above Weirs Jewellers in which they have remained to this day. Yvonne was originally looking for an apartment when she stumbled upon it. “We took ‘place’ as the thing that held us together and over time that has embedded in parallel with the work,” she says. “There was also the idea of being a cooperative and architecture being a collaborative affair rather than a single person.” This is something both of them are at pains to point out throughout our conversation. Their arrival at this pinnacle has come with the gift of knowledge and wisdom imparted by colleagues over the last 40-plus years. “It really is about having the right team at the right time to do the right job. It is something that isn’t celebrated enough in architecture — the sense of commitment, loyalty and patience.” says Shelley. And an assumption that this moment might be somehow gifted to them without some dark days is also worth exploring. Indeed grappling with stress is something they have become more adept at with time. But it does exist and has existed. Yvonne is quick to point out that they are also somewhat philosophical about that fact that “nobody died”. Watching this genial duo interact is to bear witness to a masterclass in friendship and knowingness. They are polite and cordial — blessed with the skills that a lifetime of teaching has brought them with an easy ability to interact, engage and be curious. There’s also more than a hint of mischief to both of them which I can’t quite pinpoint but am assured it it bubbles beneath their poised exteriors. And so to December 16th, 2016, when the call came through from Paolo Baratta. After the initial shock, there was oddly a moment of hesitance. “We can go very quiet very sudden as an office. That can happen to any office. There is no such thing as a secure stream of work. But it just so happened that four of our projects had gone on site at the same time. And none of them were small,” explains Shelley. 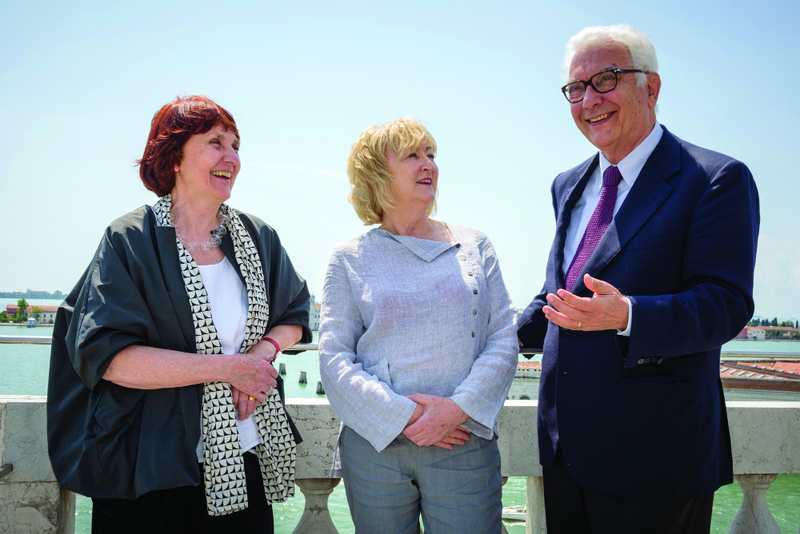 Of course, this moment quickly passed and they were on a flight from Switzerland, where they lecture to Venice, by the 20th. They had even locked down their theme on the flight home. “We hit on the idea of Freespace on the flight on the way back. And then developed it when we came back from the break. What’s interesting as an architect is when you are doing a comp. sometimes there’s a sprint and sometimes there’s a marathon. And for a competiton, you sprint. You take what’s in the air and run. And the Biennale was a bit like that,” says Shelley. But Freespace is more than that. It’s also the crystallisation of their ‘beliefs’ and values. It is with this informed and generous take on their curation, that they will view the assembled ideas from people and practices all over the globe this May. The Cordorie alone is the length of O’Connell Street and their selection and ‘belief’ in participants will no doubt give others the lucky break they have benefitted from also. This came in advance of the Biennale in the form of winning a competition for the design of the Luigi Bocconi University in Milan. It was named World Building of the Year back in 2008 and praised as a “”magical subterranean realm” by its judges. 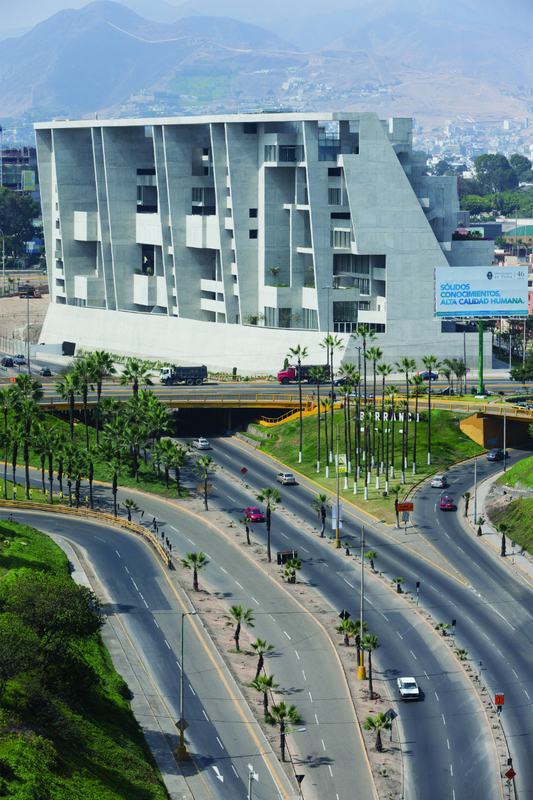 “We had never done a project on that scale but there was belief and luck and one thing leading to another.” Indeed this roll call of projects has made their thumbprint global taking in The Marshall Building for the London School of Economics as well as the university campus for UTEC in Lima. “In Bocconi it was amazing standing in this incredibly strong structure which 3.6 meters wide with every 25 meters repeated and repeated. When the sunlight hits it in a certain way the structure dissolves visibly. Models were made and studies were made but the spatial complexity was much more animated than we imagined,” reflects Yvonne. Closer to home, Grafton Architects have a more modest impact on our built environment with the Offices for the Department of Finance on Merrion Row being their best known output. 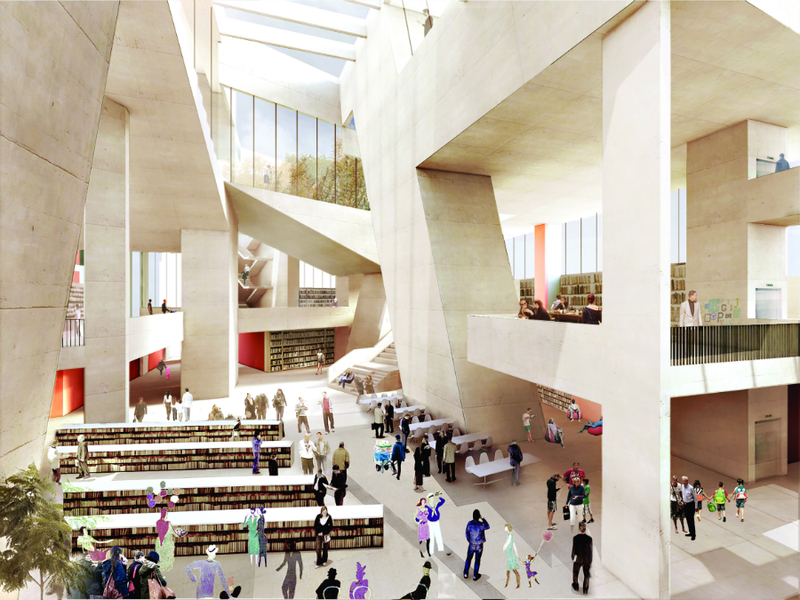 However, this is set to change with two major projects coming on stream namely the development of the Dublin City Library in Parnell Square and the redevelopment of the ESB headquarters on Fitzwilliam Street. 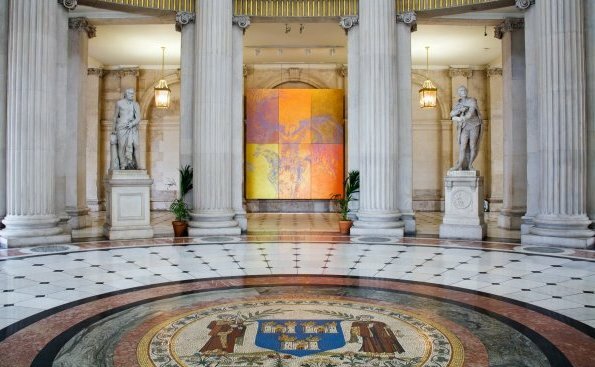 “We have this gem of a building the Hugh Lane Gallery sitting there. You have this terrace waiting for it to become a draw. It will become a magnet. Libraries are probably one of the most radical spaces. Librarians are so radical because they are at the cutting edge of what society is. It is one of the last freespaces in society. It will be one of the highest spaces in the city facing the Dublin Mountains. That whole space is waiting for belief,” says Yvonne with an impassioned belief you cannot but believe in. Routes to entry is something they are keenly aware of for those within their profession too. Knowing that they now occupy a somewhat exalted status, they know the process of belief which lead to it also. The tendering process is a particular bugbear with the problem of being unable to build a school unless you’ve built a school which precludes many. “We say architecture is a silent language which speaks. It has a resonance with another person.” says Yvonne. But it is not just architecture which commands this unspoken magic. Witnessing the flow and ease of understanding with which they articulate their passionate ideas and compassion for their profession, cemented by a true friendship shows that note that they strive for within their work has been truly found between themselves. The Biennale Architettura 2018 runs from 26 May to November 25 in Venice. 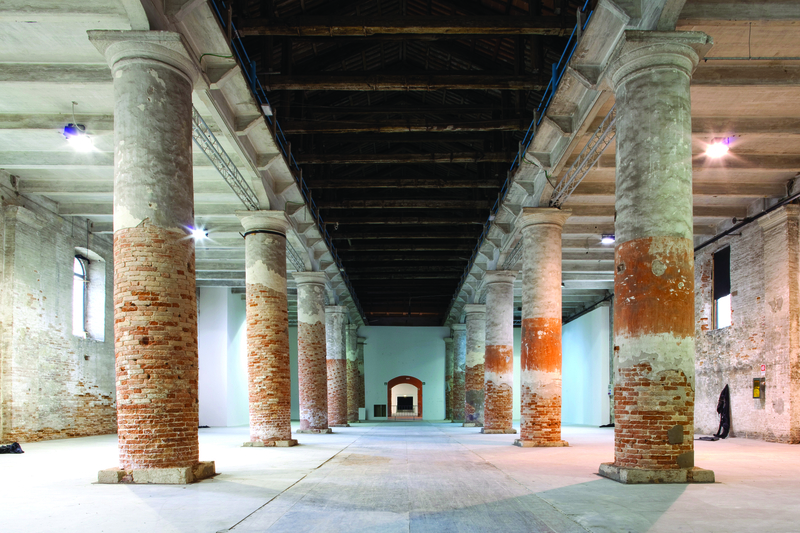 Freespace is the theme selected by Yvonne and Shelley for the 16th international Biennale of Architecture in Venice. This is how they have chosen to define it. Freespace provides the opportunity to emphasise nature’s free gifts of light — sunlight and moonlight, air, gravity, materials — natural and man-made resources.